Finding a Pennsylvania(PA) orthodontist that is right for you or your child can be challenging. To help aid you in your search for the perfect orthodontist, we have put together the top 10 things you must know before choosing your orthodontist. We invite you to read it over and see if Spark Orthodontics will be a good fit for you! Braces in Reading, PA, Have Come a Long Way – Which Type is Right for You? Like most professional industries, the field of orthodontics and braces in Reading, PA, has grown by leaps and bounds in recent years. Beyond cutting-edge technology and equipment, there are now multiple treatment options to choose from when considering braces, each offering their own unique benefits. With all these advancements, you may be asking yourself where traditional metal braces stand in the mix? Do people still get them? And, if so, what kind of advantage do they have over newer treatments? 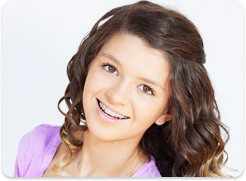 Popular Types of Braces in Reading, PA – Learn the Benefits of Each! If you’re considering orthodontic treatment and weighing types of braces in Reading, our top-rated orthodontist wants to share the unique benefits of each type with you, so you can make an informed decision. Clear braces are a popular alternative to metal braces in Reading, PA, because they offer a less-noticeable way to straighten your smile. Their natural, smooth look will blend in with your teeth and won’t cause staining or discoloring. 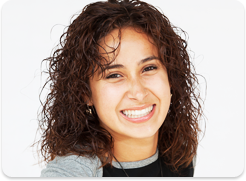 Clear braces offer our patients the natural, unnoticeable look they’re going for, while providing the durable functionality of traditional metal braces. Clear aligners from Invisalign offer a revolutionary discreet treatment method that’s become increasingly popular in recent years. Thin, plastic aligners fit snugly to your teeth, which makes them virtually unnoticeable. They differ from traditional braces in that there are no food restrictions and can be removed prior to eating and put back in once you’re finished. Removeable aligners make it easier to brush and floss after eating, which is crucial when you have braces in Reading, PA. Maybe the biggest benefit of Invisalign is that it works much faster than traditional braces, with treatment taking up to 50% less time and requiring fewer office visits. Believe it or not, there are even more options to consider when looking for Reading braces, so contact our 5-star-rated orthodontic office for more information or to schedule a consultation. Helping you achieve your best smile is our top priority! Call today – your happiest, healthiest smile is just around the corner! The information provided in this article is not meant to be medical advice and is for educational purposes only. If you would like to learn more about this and other topics related to orthodontics, feel free to contact Spark Orthodontics, with a convenient orthodontic office near Reading, PA, by clicking here or by calling 610.865.2777. Spark Orthodontics can help you or your loved one achieve a smile that benefits dental health as much as it increases confidence. However, we want you to feel confident that your choice in an orthodontist in PA, is the right one. Follow the steps below and get that smile you have always dreamed of.